The affected infrastructure can be modified for existing maintenances. 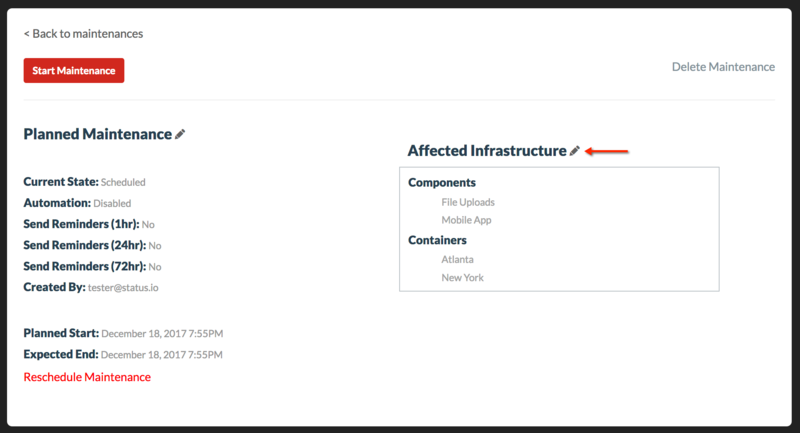 Click the edit icon next to Affected Infrastructure. 2. Add or remove any infrastructure. 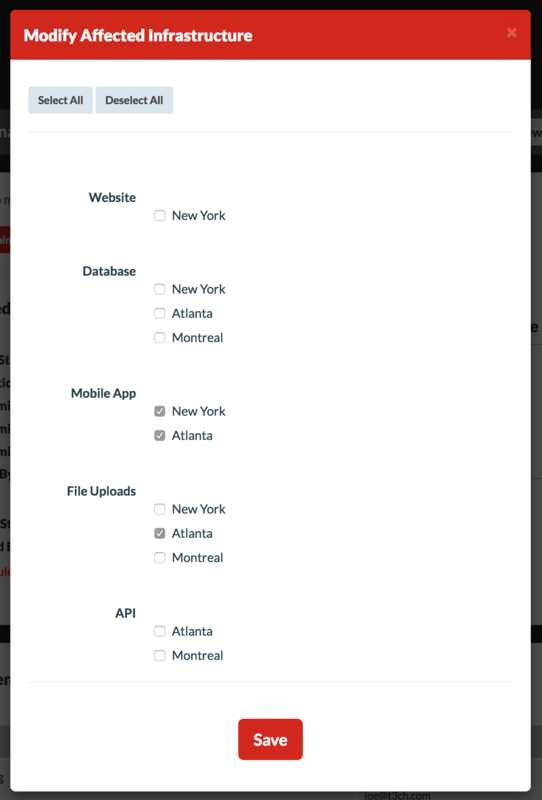 At least 1 component must be selected. The status level will not be changed automatically.